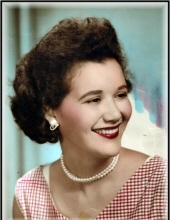 Rosa Maria Lopez, 86, was born August 20th 1932, in San Martin Oriente, Cuba. She immigrated to the United States in 1957 and married the love of her life, Francisco Lopez in Miami, Florida. She passed on April 4th, 2019 in her home in Park Slope, Brooklyn accompanied by her family and friends. She was a devoted wife, mother and grandmother, as well as a business partner to her husband who owned a local grocery store in Park Slope. Rosa was also a prominent member in her church, The South Brooklyn Iglesia Adventista del Septimo Dia. She left behind three sons, Francisco Lopez Jr, Robert Lopez and Rony Lopez, and her daughter-in-law Lissette Lopez. Also surviving are her two granddaughters Ashlly Lopez and Brittany Lopez. She also had another son Abel Lopez who sadly deceased August 18, 2010. Rosa was a woman of strong faith and conviction, who dedicated her life to her family with the goal of giving her children better lives than she had. She will be sincerely missed by all who knew her, and the memories of her will forever live in our hearts. To send flowers or a remembrance gift to the family of Rosa Maria Lopez, please visit our Tribute Store. "Email Address" would like to share the life celebration of Rosa Maria Lopez. Click on the "link" to go to share a favorite memory or leave a condolence message for the family.